With so many options out there (and probably a limited budget for attending them all), choosing which conferences to devote your time to can be challenging. Black women are coming for everything they said we couldn’t have in 2019. So if you’ve been wanting to level up in your career, your business or even your professional development—now is the time. The best part? There are plenty of conferences specifically geared towards Black women to help you do so. There’s nothing like being in a room full of people that look like and are on the same grind as you, while listening to inspiring keynotes, rubbing elbows with other professionals, and then walking away with the tools you need to survive and thrive as a Black woman in business. But with so many options out there (and probably a limited budget for attending them all), choosing which conferences to devote your time to can be challenging. Not sure where to start? Here are a few that will help you level up in 2019. The Power Rising Summit provides a space for Black women to turn their power into action and create an actionable agenda. Now’s the time to rise up — against injustice, bigotry and any obstacle that stands in the way of our goals. The Summit is organized around five key pillars of activism and engagement: Business & Economic Empowerment; Culture, Community, and Society; Education, Technology, and Innovation; Health & Wellness; and Political Empowerment. So prepare to level up in each of these pillars. 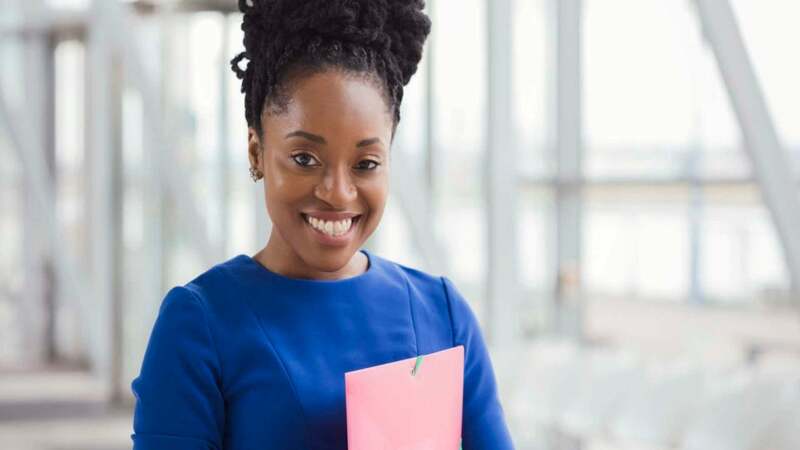 Black Women Talk Tech’s 3rd annual Roadmap to Billions 2019 Conference is an annual tech conference created exclusively by Black women founders for Black female founders. It’s no surprise that Black women in tech are the least funded and supported. So for women who are trying to build billion dollar companies (heck, even million dollar), this conference creates an environment to foster deep connections and create real funding opportunities. The first conference of its kind, the Women of Power Summit is a professional leadership conference designed especially for executive women of color. For women in the C-suite looking for a tribe of women to call their own, this is for you. This event brings together more than 1,000 influential businesswomen from across the country. And with a backdrop like Las Vegas, prepare to mix your business with a little bit of pleasure. After successfully taking over Dallas, Selah Leadership Encounter For Women, hosted by Bishop Vashti McKenzie, is coming to Atlanta. This unique women’s conference marries faith and leadership, encouraging women to rest and recharge whether they’re in the boardroom or the pulpit. Commune with high-level like-minded women of color, while hearing fireside chats with Morgan Stanley vice president Carla Harris, Because of Them We Can creator Eunique Jones Gibson, celebrity psychologist Thema Bryant, Dr. Jill Waggoner, and Slutty Vegan creator Pinky Cole among others. 21Ninety, the sister brand to Blavity, is a lifestyle brand focused on the empowerment of women of color, specifically millennial women, through learning, growing, discovering, and connecting as a community. The two-day conference, taking place June 7-9 in Atlanta, is set to give entrepreneurs, creators, and influencers the opportunity to gain invaluable insights to achieving their goals, while utilizing the latest tools and products from leading innovative partners. Want to know what it takes to be an entrepreneur? Looking for tools to help your business thrive? Want to network with key business leaders? Looking to close your next big deal? You’ll do all of the above and more at the 24th annual Black Enterprise Entrepreneurs Summit taking place in Charlotte, North Carolina. The three-day conference brings together more than 1,000 of the country’s leading entrepreneurs, business-funding services and corporations. Grab your girls and head to the Great Girls Conference for a weekend of workshops and panels designed to ignite great girlfriends by putting their ideas into motion and moving the needle to get the results they desire out of life. This is where you’ll have the opportunity to find the spark of passion you’ll need to succeed in your personal lives, careers, businesses, motherhood, relationships, and more. C2 (short for ColorComm Conference) is a business conference geared towards women of color in communications. For many Black women who work at corporate agencies or companies, they often don’t see themselves represented in the spaces they are in. Back in Miami, C2 will convene over 500 multicultural, professional women to show them that they are seen. With innovative programs and topics presented by the industry’s top practitioners and thought leaders, this conference provides a safe place to address relevant issues from like-minded women. Project NorthStar is a 3-day tech conference that provides connections, education, and opportunities for current or aspiring entrepreneurs and professionals from the Black and Latinx community. Presented by Black & Brown Founders (in conjunction with the City of Philadelphia), the goal is to help Black and/or Latinx people create a path to economic security by helping them break into the tech space. This conference is the first of its kind in Philadelphia and is absolutely shifting the tech scene in the city. Returning for its fifth annual program, Black Wall Street Homecoming will embark on downtown Durham for three days of networking mixers, expert panels and keynotes. The conference—which focuses on the intersection of content, connections and culture— is created as a “for us, by us” concept to help early-stage entrepreneurs launch their next billion dollar business. Searching for the most lit tech conference in all of the land? Then it’s time you add Afrotech to your calendar now. This revolutionary experience for Black startups and entrepreneurs returns, and this time, they’re bringing our Black dollars to the city of Oakland. More than 3000 attendees will convene for more tech, more talks, more teaching, more learning, more pitching and more glow ups.